The limited edition HELM colorway, named the ConRad Edition, comes in the company’s signature black and gold and is available in both coil and air sprung versions. The ConRad is named after a 12-year-old boy who, in 1799, found a 17lb gold nugget in North Carolina (where Cane Creek is headquartered) sparking the first gold rush in the United States. 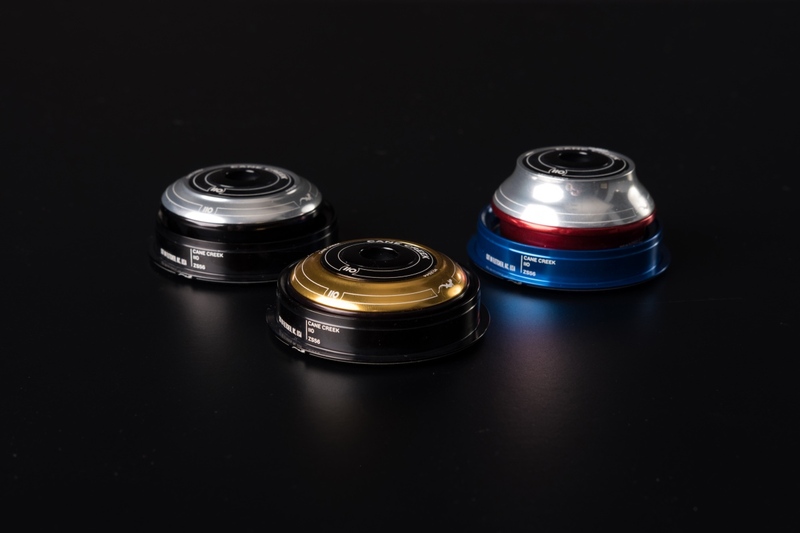 The limited edition 110 headsets come in three colorways: red, silver and blue flag edition; a black and silver tuxedo edition; and a black and gold ConRad edition that complements the HELM ConRad fork. All three headsets come in ZS44/ZS56 SHIS configuration. Learn more about the Helm fork here. 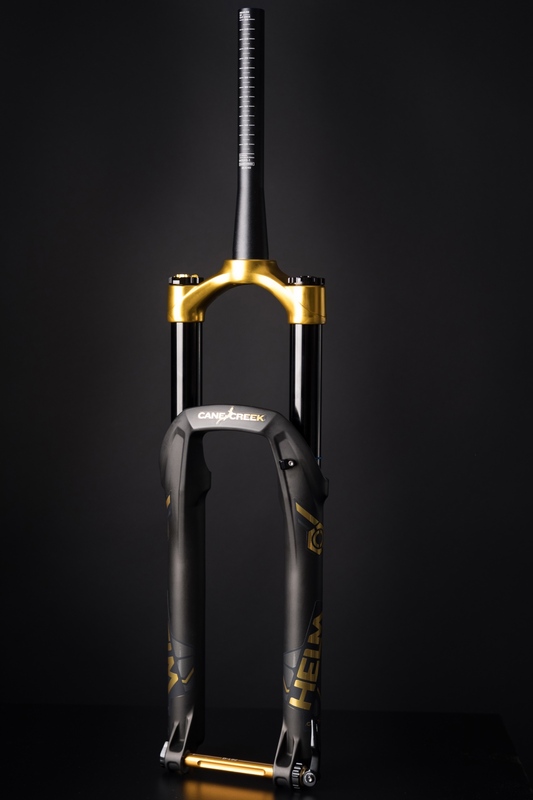 Cane Creek is accepting orders for the ConRad Edition HELM Fork through December 22 with delivery in January 2018. The limited edition 110 headsets are available while supplies last. For more info head to www.canecreek.com. Nothing worse then a fork crown that does not match the lowers. Except for maybe a silver cassette and gold chain.